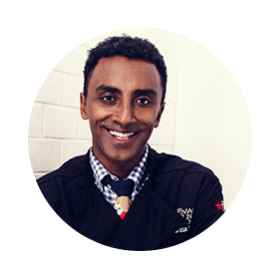 I’m always a big fan of the Macy’s Culinary Council events at Macy’s Downtown Minneapolis, but I’m extra excited about the event coming up next week, Tuesday, November 1, because it features one of my favorite chefs – Marcus Samuelsson! It’s a thrill to have him coming to visit us in Minneapolis. You might be familiar with Chef Samuelsson from ABC’s The Taste where he served as one of the four mentors. he is also a recurring judge on Chopped on Food Network. But before all that, he started his career at an early age and, at just 24, was awarded three-stars from the New York Times as the Executive Chef at Aquavit. The James Beard Foundation named him “Best Chef- New York City” in 2003 and honored him with the “Best International Cookbook” for A Soul of a New Cuisine in 2006. 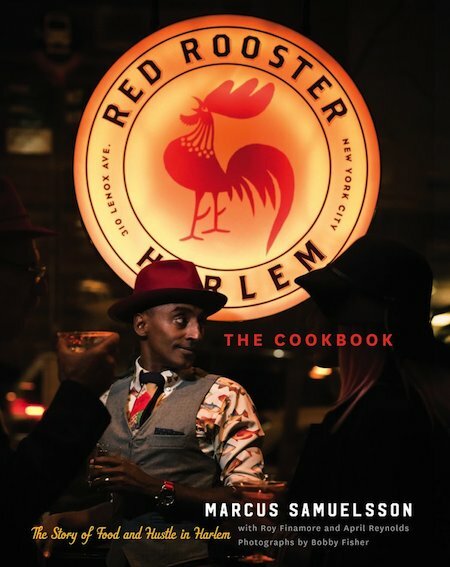 Chef Samuelsson owns Red Rooster Harlem, which was named “Best Neighborhood Joint” by the New York Times. He has also written several successful cookbooks, he has written the highly acclaimed “Yes, Chef: A Memoir” and an autobiography, “Make It Messy: My Perfectly Imperfect Life”. Besides all of these accomplishments, Marcus Samuelsson is also a member of Macy’s Culinary Council, which leads us back to his visit next week! During this free event, Chef Samuelsson will be whipping up some of his favorite award-winning dishes and teaching us how to make them. While there, if you spend $35 or more in the Home Department you’ll receive a special gift of a $10 Macy’s gift card and his book, “The Red Rooster Cookbook: The Story of Food and Hustle in Harlem”, which he’ll sign after the event! The event takes place November 1st at noon in Macy’s Downtown Minneapolis – Lower Level. While all seats have been reserved, standing room will be available and you’ll have a chance to watch the demo and mingle.